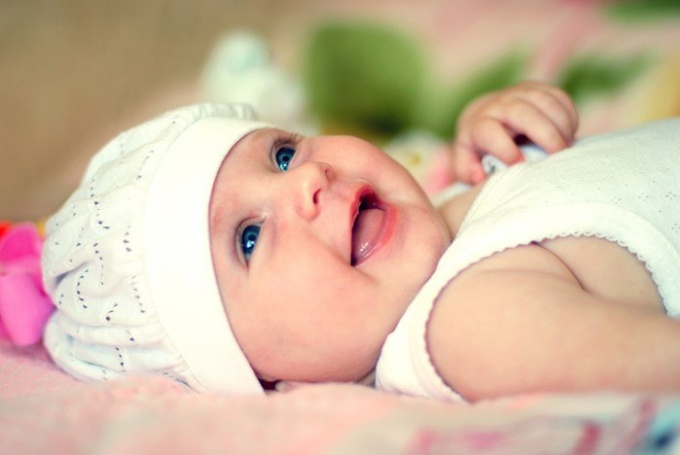 The slightest external changes of the skin of newborns, usually immediately noticed by the parents. Some of them can cause panic. If your kid suddenly turned blue nosogubnyj a triangle, then show the maximum vigilance. On the one hand, this may be a consequence of severe hypothermia, on the other to indicate a serious condition. Some diseases infants it is very difficult to determine by external signs. Therefore, during examination, the pediatrician asks the young moms a lot of questions on the topic of sleep, behavior and external changes of the baby. Short or long blue in the face, nasolabial triangle can be the first signs of abnormalities in the cardiovascular system. The real concern of the parents must call the additional blue in the face extremities of the child. A false alarm can be called bruising nasolabial triangle in children with a bright and delicate skin. Similar effects may appear in first days of life, even around the eyes. Heart disease is most frequently defined on such symptoms. Blue skin tone appears due to the mixing of two kinds of blood – arterial and venous. Such a process is due to the simultaneous reduction of oxygen in the blood. Before bruising nasolabial triangle, the child may suddenly begin to worry. Sometimes his movements resemble tremor. If the baby happened this situation, you should immediately consult a doctor. It is better to call a specialist at home. During the inspection it is necessary to exactly tell all the details seen you. In addition to the disruption of the heart similar symptoms may indicate the presence of diseases of the nervous system or the incorrect structure of the heart walls. In some cases, appointed by surgery. When the blue hue of the skin of nasolabial triangle, the child is assigned a special set of examinations. At first the kid needs to see a pediatrician, surgeon and a neurologist. Be prepared for the fact that additionally have to undergo ultrasound examination. Only after all these steps, the baby will be diagnosed. You should never hold back on any suspicious observations. All their concerns be sure to tell the doctor. Quite often, the blue of nasolabial triangle appears in perfectly healthy children. The main reason for this effect may be hypothermic. In this situation, pay attention to the temperature of the air in the room, in the clothes in which the child is. The baby's lips can turn blue, for example, if you bathed him and did not pay attention to the fact that the bathroom and baby's bedroom temperature is dramatically different. Most often bruising nasolabial triangle, there is the capricious and restless children. Due to constant emotional stress and crying, changes blood. The amount of oxygen in it decreases significantly. The result of this process becomes blue skin tone around the nose and above the upper lip. Cyanosis, or bluish discoloration of the skin in the region of nasolabial triangle is a symptom that indicates a violation of gas exchange in the lungs, abnormalities of the cardiovascular system and other diseases in children and adults. Cyanosis of nasolabial triangle – a frequent companion of various pathologies of the respiratory and circulatory system in adults and children. Tests when cyanosis show increased level of restored hemoglobin in the blood to 50 g/l. This symptom can be a sign of asthma or pneumonia and other acute respiratory diseases. Often cyanosis occurs when diphtheria croup, angioedema, epileptic seizure, thrombophlebitis. Bruising nasolabial triangle common in shock States. Cyanosis develops when the violation of gas exchange in the lungs, when the arterial blood accumulates excess carbon dioxide. Also bluish discoloration of the skin can be caused by embolism and asphyxia the pulmonary artery. In this case, the patient requires urgent medical attention, as these pathologies are deadly for life. If acute cyanosis, occurring in seconds, requires an immediate call to the physician, in chronic diseases of the cardiovascular and respiratory system, cyanosis may develop gradually. Bruising nasolabial triangle characteristic of heart failure, congenital heart disease, impaired circulation. The skin in the area of nasolabial triangle may turn blue from hypothermia. This condition is not dangerous to health and life, so the disappearance of the symptom you just need to go from a cold to a warm room. Special attention deserves the cyanosis of nasolabial triangle in newborns. If there is such a symptom of the child should be evaluated by a neurologist and have an ultrasound of the heart. Bruising nasolabial triangle in children occurs due to a lack of well-formed circulatory and respiratory systems, and in the absence of other pathologies, this symptom is temporary. A healthy child cyanosis takes place after some time, when normal blood circulation. However, cyanosis of the baby is the indication for diagnostic procedures, as it may indicate respiratory failure or heart disease. To reduce the lividity of the skin kids administered oxygen therapy, walks in the fresh air and have a massage if the symptoms are not accompanied by any diseases. If the child has been diagnosed with heart disease, need medication or surgical treatment.